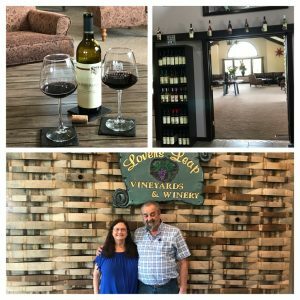 On Memorial Day Weekend, we celebrated our 50th Anniversary with a relaxing day at Lovers Leap Vineyard and Winery. We shared a bottle of one of our favorite Kentucky wines, a Cabernet Franc Reserve. This vintage has aged well and is a fantastic example of a great vinifera wine made in the state.